Democrat Hillary Clinton accused Donald Trump Thursday of breaking the law by violating the US trade embargo with Cuba, slamming her rival as dishonest and willing to put his interests before the country. Clinton said Trump’s business interests in Cuba in the 1990s ‘appear to violate US law, certainly flout American foreign policy,’ as she accused him of misleading American voters. Newsweek earlier reported that Trump hotel and casino executives spent $68,000 while trying to get a foothold in Cuba during a trip in 1998. That was well before the United States loosened its decades-old embargo and when expenditures in the Caribbean country were illegal without US government approval. A former Trump executive who spoke to Newsweek on condition of anonymity said the company did not obtain a government license for its spending before the trip. The issue plays into Clinton’s main line of attack against her Republican rival. Her campaign has framed the election as an existential moment for the republic: a choice between Clinton’s safe pair of hands and the latent authoritarianism of an erratic and duplicitous mogul. The issue could also cause Trump problems in the swing state of Florida—where anti-communist Cuban Americans make up a vocal slice of the electorate. 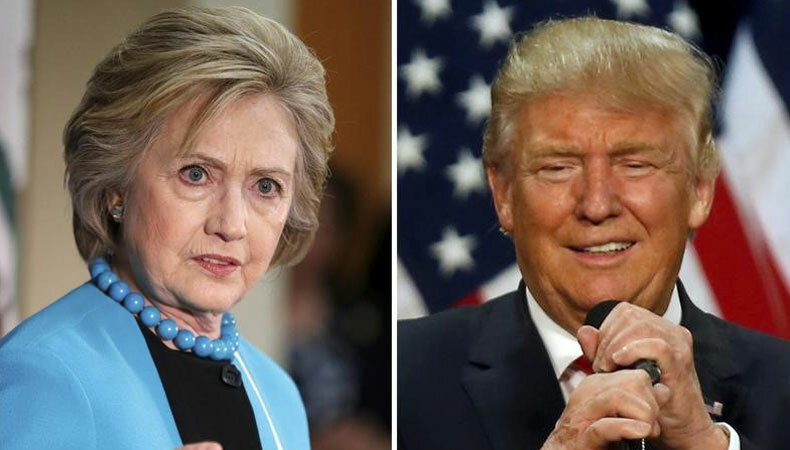 Polls show the Democrat and Republican nominees running virtually neck-and-neck there. ‘This adds to the long list of actions and statements that raise doubts about his temperament and qualification to be president and commander in chief,’ said Clinton. Facing questions about the report, Trump’s campaign manager Kellyanne Conway all but acknowledged that his company violated the embargo. However, Trump ultimately ‘decided not to invest there,’ she added, saying the real estate billionaire has remained ‘very critical’ of Cuba and the Castro regime. Newsweek reported that the company did not spend the money directly, opting instead to funnel the funds through a consulting firm—Seven Arrows Investment and Development Corp—with Trump’s knowledge to make it appear as if the spending were part of a charitable effort. Instituted in the early 1960s, the trade embargo was designed to starve Fidel Castro’s regime of US currency. Despite the recent restoration of diplomatic relations between Washington and Havana, the embargo remains largely in place today. Florida’s Republican US Senator and onetime presidential candidate Marco Rubio, whose parents fled Cuba, said he was ‘deeply concerned’ about the report. ‘I hope the Trump campaign is going to come forward and answer some questions about this,’ he told ABC’s ‘Capital Games’ podcast.